When is the Council Office open to the public? The doors are open for the general public from 10.30 to 12.00 on Tuesday and Thursday mornings. 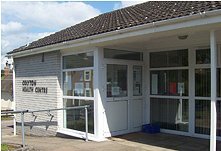 Access for the disabled: Please make an appointment OR use the door entry phone at the entrance to the Feoffees Town Hall. A ground floor meeting can then be arranged. How often is the Council elected? Every four years. When does the Parish Council Meet? On the 2nd Monday in the month. Planning meets normally two weeks after the Council meeting each month. Finance meets normally two weeks after the Council meeting each month. Amenities normally meets quarterly after the other sub committees. They meet regularly and administer the assets of the charity for the benefit of the inhabitants of the parish of Colyton. The Parish Council must appoint five nominated trustees to the charity with a four year period of office. 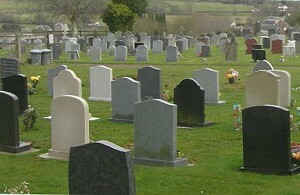 backfill of graves are performed by the Undertakers. Minister's fees are the responsibility of the Undertakers. The fees set out above apply where the person to be interred (or in respect of whom the right is granted) is, (or immediately before his/her death, was), an inhabitant of the Parish of Colyton. In all other cases, the fees will be doubled but in some cases of previous residency, the doubling of fees will be at the discretion of the Parish Council. Report Crimes or Anti-Social Behaviour: To report an incident where an immediate response is not required or a crime has not been committed call 101. See also the Seaton Rural Website enter “seaton rural” into Bing or Yahoo or Google. Please send a copy of your email to the Parish Council with any complaints (click the Contact Us button on the menu). Our County Councillor chairs regular meetings of the Colyton Traffic Group, the group includes council and highways representatives. Planning applications are issued to the Parish Council for their views but any final decision is taken by the District Council. It can be helpful to send a copy of your message to the Parish Council about any planning issues. Applications for Housing: East Devon District Council are also the responsible authority for the provision of housing. If you are in housing need apply to the Housing Department of EDDC. Apply for an Allotment: submit and application to the Parish Clerk in writing, the Council have full, half and quarter plots for rent although there is normally a waiting list. What is Colyton Link? Link was started in January 1983 with the aim of helping people. Colyton Link is an independent local charity; its main activity is to organise and operate a car service to transport people door-to-door for medical treatment. In addition its publication 'Link Lines', details all the organisations in the parish and is distributed to every household and especially to any newcomers. The Link organisation was expanded in 2009 to included all of Colyford. To use the Colyton Link car service: Please ring 0300 123 3345 between 8.30am and 5.30am Mon. to Fri. If you can suggest other useful information and contacts for this page, please let us know by using the Contact Us button on the top left-hand menu.